Effective organisation is the key to running a successful property portfolio. Property management software solutions help landlords be more efficient, more productive, and offer a better service to their tenants. 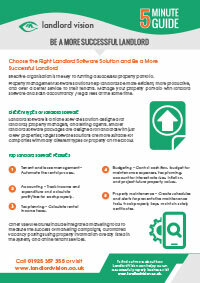 Manage your property portfolio with landlord software and slash accountancy / legal fees at the same time.